Sad.........bit disappointed at the fist shake at Petrov, that was bad sportsmanship. 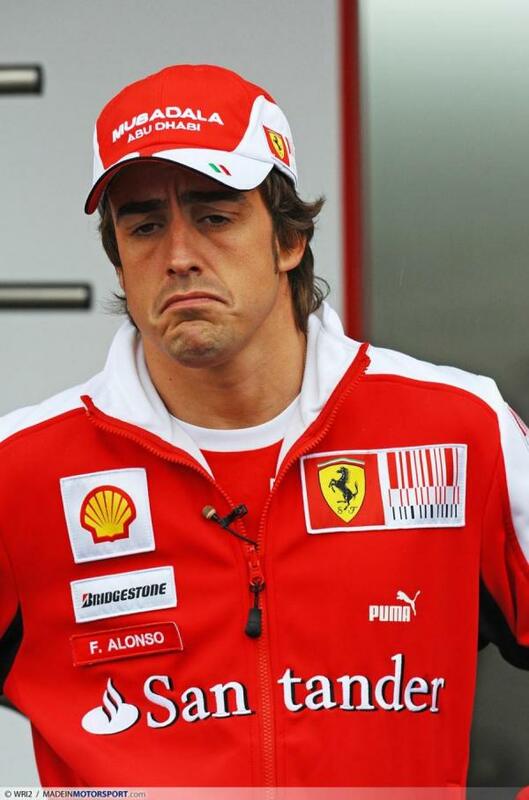 I still love you Fernando. Good season, but I can't say if Ferrari was only third fastest car. I think McLaren and Ferrari were on the same level at least. I think the Ferrari was slightly better as it had more "on" days than McLaren. McLaren were good in the middle of the season but Ferrari were good in several bursts. It's arguable though. Waking up was hard after yesterday’s disappointment, I can’t deny it. It hurts to come so close to the goal and see it slip away like that, but that’s the way sport goes and we have to accept it. The closing chapter of the season must not erase all the positive things that we’ve done this year. And – I repeat – for me it’s been a top year. There have been wonderful moments, such as the Monza podium, that will stay in my memory and the bitter end will never be able to cancel them out. Now it’s pointless to try and work out who got things wrong: a world championship that slips away by four points after 19 races can be lost on so many occasions, not just at the end. We are a team: we win and we lose all together. I’m happy to be at Ferrari – to feel, together with all the men and women who work here the pride of being a part of this family and this extraordinary history. We are a great group and we will show that – especially in this hardest of moments where this bitter taste will be felt inside every one of us. I know that at Maranello everyone will be working hard on the new car to try to be even more competitive at the start of next year. I know that here at Yas Marina the mechanics are again on track preparing for a week of testing. I can’t wait to get back involved on Friday when I’ll return to Abu Dhabi to try out the new Pirelli tyres on Saturday. This is the spirit of our people: they want to react straightaway, to work even harder to chase victory. That has made me fall in love with Ferrari even more today than ever. 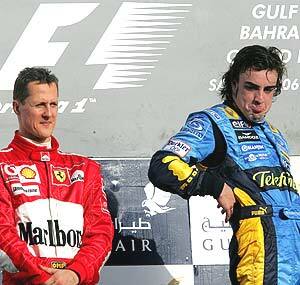 Well Done to Vettel, but this was Fernando's WDC. No sour grapes or anything, but to stay in the hunt till the end with a car that was never the fastest, came back from a huge points deficit and too loose it by a bad pit call, all I can say is RESPECT!! The "fist" at the end wasn't good, but I don't think anybody will hold that against him, it was in the heat of the moment and he apologized for that straight after the race as well as on Twitter to his hordes of Twitter followers. He'll be mega next year, the celebrations next year should just be a bit sweeter. The year is over now and the guy with the most points on the board is champ, so once again well done to Vettel. Paxter a écrit: and he apologized for that straight after the race as well as on Twitter to his hordes of Twitter followers. I am almost positive that account isn't his, it's not verified for one, and nobody important in F1 seems to follow that page. A lot of those tweets don't sound like him either. Guys can you get me the link for the vid where Fernonso drives an imaginary lap blindfolded and its the same time as a real lap? Q.-(Boy) To have all that energy I suppose you do not drink Red Bull. A.-(FA) I answer in name of the two: we don't drink Red Bull. Only the adult guys drink that, isn't it? A.-(EB) Exactly, Fernando and I do not drink Red Bull, absolutely. Absolutely. "My mother doesn’t want it"
Fernando Alonso has vowed to shave off his beard before the 2011 season begins officially in Bahrain. 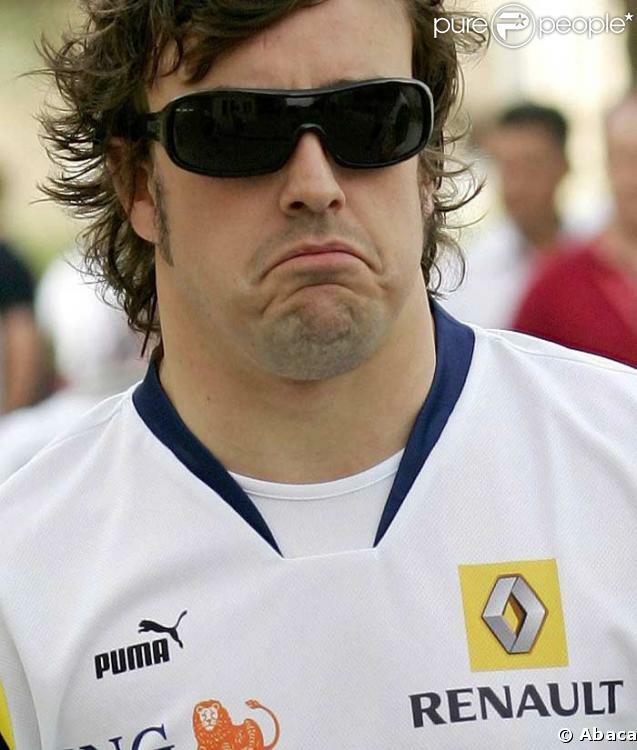 The Spaniard has been wearing a ’three musketeers’-style goatee at Ferrari’s ’Wrooom’ media event and also for the launch and track debut of the team’s new 2011 car. 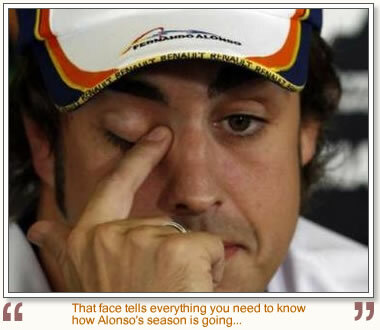 Asked if it will still be there when the racing begins in March, Alonso told Reuters: "I don’t think so. My mother doesn’t want it." A more important issue for the 29-year-old is the seating position of the new F150 car due to the higher nose. Both Alonso and his shorter teammate Felipe Massa appeared to be straining over the cockpit to see the corners when they tried the car for the first time at Fiorano. "We’ve had to change it (the seating position) as visibility could be a problem," said Alonso before the maiden test. Is FA a "Mama's boy"
Mach a écrit: Is FA a "Mama's boy"
The guy is Spanish not Italian!!! 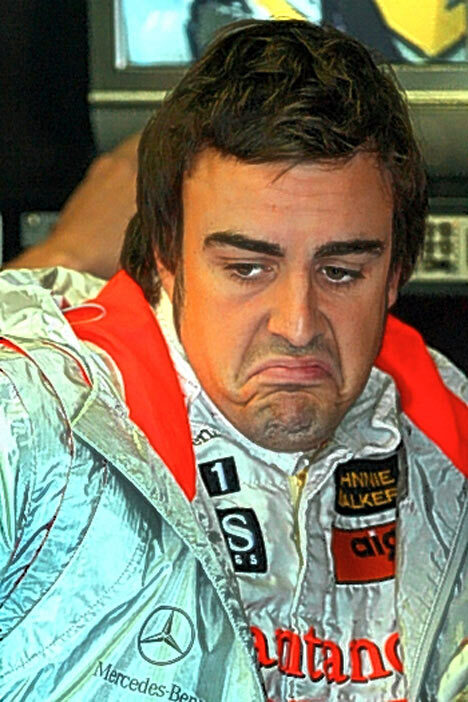 Hi guys, I'm looking for "iconic" pictures of Fernando. One from each of his seasons. So if any of you have good pictures or a good source to find one, please let me know. 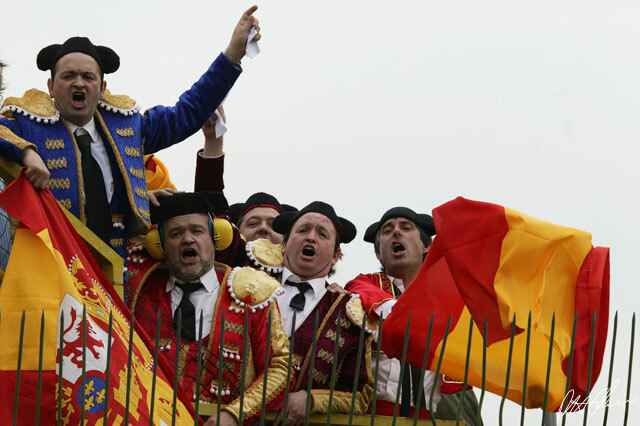 Pixx a écrit: Hi guys, I'm looking for "iconic" pictures of Fernando. One from each of his seasons. So if any of you have good pictures or a good source to find one, please let me know. Sorry, couldn't resist myself . We, his fans, are a funny group of people, aren't we? A win could help at this stage in the championchip.